At the start of this month, NSL released a statement clarifying the 12 washout games in season 2018. It was a very shallow reasoning which prompted me to further query their response and it is now the second week and no response yet. The PNGFA Secretary General Dimirit Mileng has acknowledged these questions and forwarded to the NSL competition manager to respond. The last response I got from NSL in season 2018, took them a month to respond. So where is the logic. Our readers, the public and even franchise owners want to know the truth about the NSL and its management so if NSL is not going to talk to us then why do we keep on running their game stories? It seems we are becoming a laughing stock. The NSL needs to respond to questions as below before we can go on running their stories. - What stringent measures is taken by the NSL to avoid such a huge number of washout games in the future? - What stringent measure are being taken by the NSL against the failed cubs? - Is the 14 weekends of the 14 rounds competition not enough time for the club managements to meet their obligations? - How much in total payments does the clubs owe the NSL to date? - How much per club is owed to the NSL? - What specific financial obligations have the failed clubs not met. Is it registration fees..etc? - Was there a due date for the failed clubs to meet their responsibilities? - When was the due date to meet these administrative responsibilities regarding financial obligations? - Can NSL confirm that yes despite the failed clubs not meeting their administrative responsibilities regarding financial obligations, the NSL continued to entertain them for the duration of the season? - In other words, shouldn’t the NSL management as well be blamed for the piling washout games from failing to exercise its command in running the competition? - The question that needs to be asked is why at the first place allow franchise that cannot sustain stability at the semi professional level? - It is according to the status of the NSL that a club must be financially equipped enough and is backed by a strong financial backed sponsor to allow them into the semi professional competition. Why is that now that the franchises were allowed at the first place and the games being played. After seeing 12 major washout games, now the NSL board sees fit to call it all a forfeit matches? - I believe in the history of football in either a semi or professional competition, there has never been a significant washout matches? Something is not right here? - Does that mean that NSL will not have any prizes for the end of the season awards? If so, how much prize money will be on offer? The golden boat award winner and so and so fort..people want to know about this. - Is administrative failures by respective franchise managements regarding their financial obligations valid reasoning? - Is the 12 games washouts a record for the NSL? 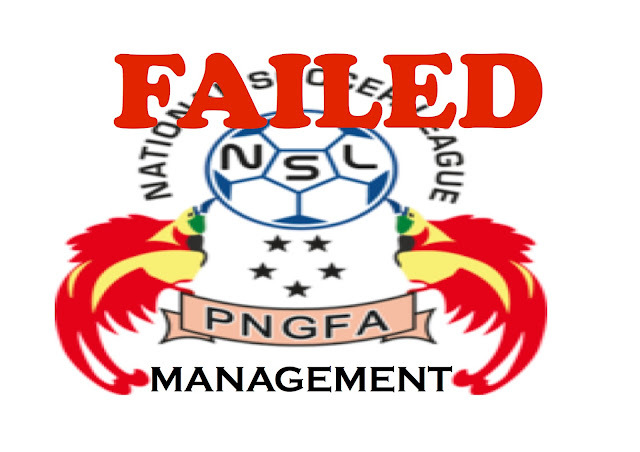 - Is it acceptable that the NSL which is the premier soccer league in PNG can entertain washout games of such magnitude?